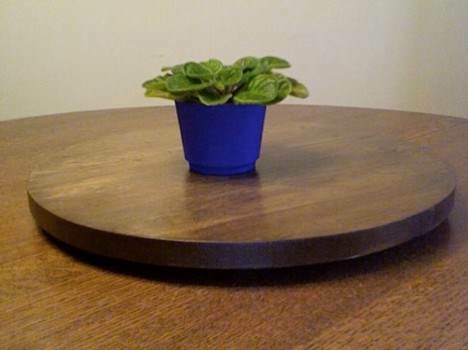 The Lazy Susan is a rotating tray that is usually circular and intended for use on a tabletop or countertop to aid in moving food on a table or counter. Lazy Susans may also be corner cabinets on which shelves are mounted so that items may be retrieved by pushing on the shelves to turn them. This type is usually found in kitchens. 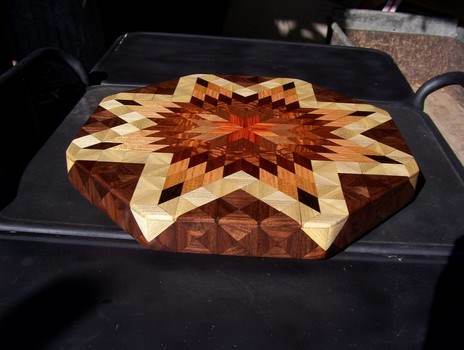 Below are free woodworking plans for Lazy Susans found on the web. Below the free listings (in the Kitchen Favorites) are the Lazy Susan bearings and hardware for purchase and also rotating Lazy Susans for kitchen cabinets. 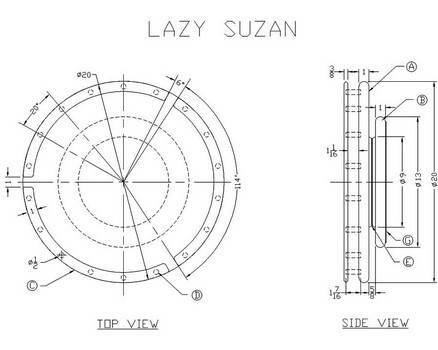 Here are plans for a lazy susan to be placed in the center of the kitchen table to help keep condiments and other food items within arms reach. 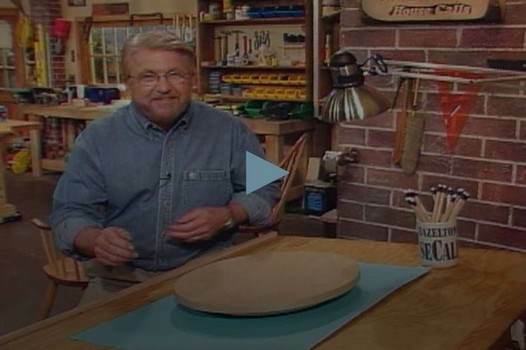 This project has step by step instructions along with pictures of each step so you can easily make your own handy lazy susan. Here are detailed instructions on building a food turntable that can be painted to match your kitchens decor or leave it in the raw. Create a turntable that looks like a baseball, which works out perfect when having the whole team over for burgers and hot dogs. Here is an easy downloadable plan for building a turntable that will help keep certain food items handy and within reach of everyone at the dinner table. 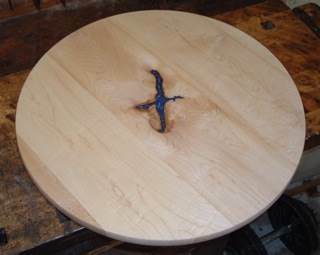 This woodworking plan has detailed steps along with pictures for creating a unique center piece that doubles as a lazy susan.